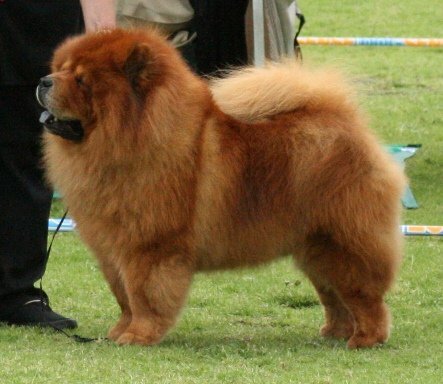 Should I shave my chow chow? I am often stopped and asked if my chow chows aren't suffering in the heat because of their coats. There is usually a look of amazement when I say 'no' , they are probably better off than the staffies and jack russels with their coats .This is indicative of the common misconception that all dogs would automatically be cooler if they had less hair. A dog's cooling process is handled by panting and sweating of the paws, this logically says that a thick coat will not slow down a dog's cooling process. Dogs have various types of hair (fur,coat) . There are those whose hair grows to one length only and then remain that length. These dogs typically shed hair. 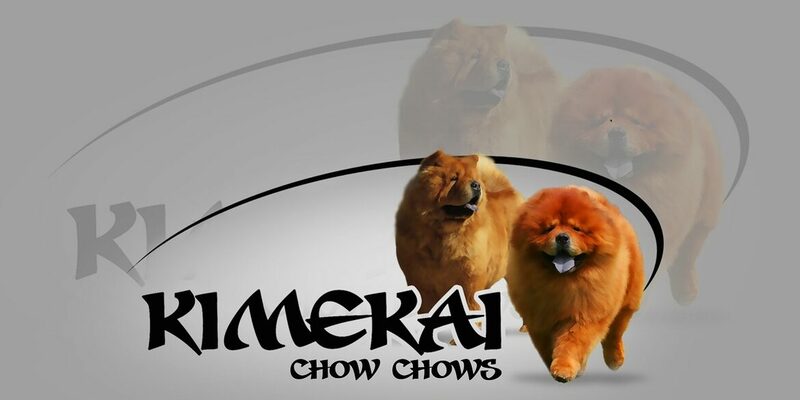 The chow chow is included in this category. Their coats act as insulators against the elements, and should never be shaved. A comparison would be similar to the folks in the desert who don't strip down in the heat or the insulation in the ceiling of your home. 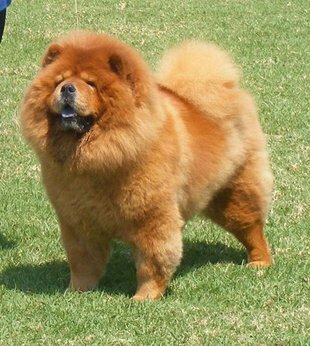 The chow chow has a soft, downy undercoat with a thick harsh outer coat ( this outer coat is often referred to as the guard hairs.) Nature designed the inner coat to matt and tangle up to form a protection around the animal to keep their temperature regulated in extreme weather. Sometimes the guard hairs also matt and tangle. Usually the owner doesn't maintain a regular brushing and grooming routine resulting in the very matted coat. This then leads to the very wrong assumption that the dog is hot so the best is to shave the coat off to make the dog cooler ( and remove the matted coat). BUT , this actually has the reverse effect , shaving the hair removes their insulation from the heat. The end result being that these dogs are hotter and more uncomfortable than before and now are also burnt by the sun. 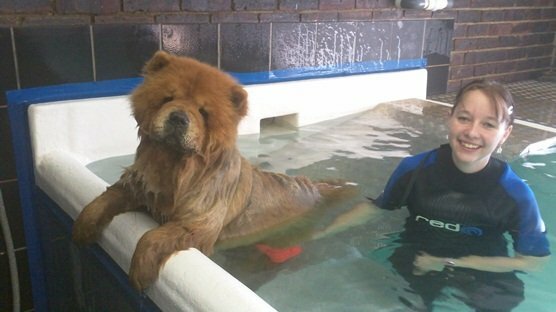 Look at your chow chow's skin , it is probably a very light pigment which will burn in the sun. It is important to understand that if you make the decision to go ahead and shave your chow chow anyway, their hair will probably never be the same again. Shaving usually changes the coat forever. Not only does the hair grow back slowly, it grows back much softer and sparse. The colour of the coat will most likely change, probably at least two shades lighter than it was before. And sometimes the hair does not grow back, often the coats if/when it grows back appears to be moth-eaten. Maintain a regular grooming routine to ensure your chow chow's coat doesn't get matted. This is especially important when the dog is losing coat (moulting). It also doesn't mean that you brush every day - once a week , but a thorough brush , is usually sufficient - twice a week better. There are many sprays on the market to help grooming because dry brushing will break the coat. I use a mister with water to ensure I don't break the coat. 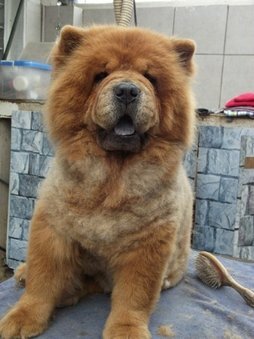 If your chow chow is matted - a long process can get rid of the matts without resorting to shaving. My 13.5 year old Katana ( below) is CUT down with a pair of scissors every two or three weeks - I cut the length to just above the undercoat - this is because she swims weekly to maintain mobility and her strength. Her thick dense coat was prone to being water logged, and a weekly lengthy drying session was not an option - therefor I made the decision that her mobility and strength far outweighed her coat at this age.